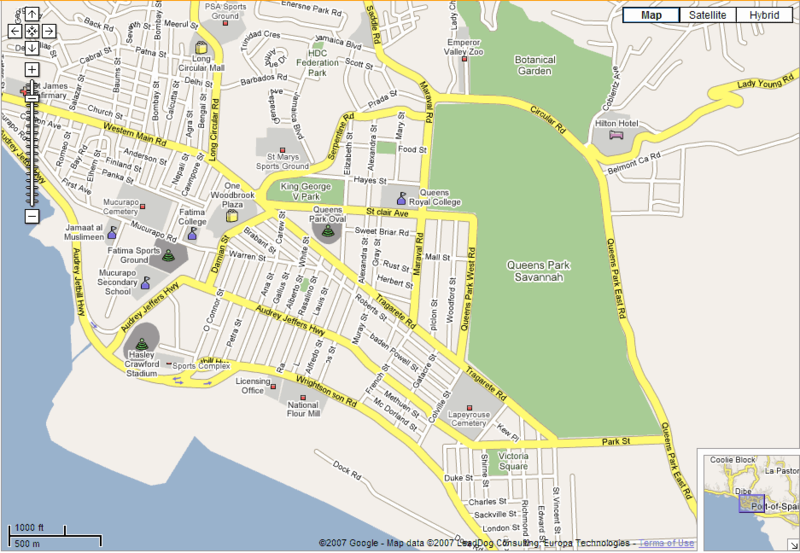 Just noticed that there are updated street maps in Google Maps for Trinidad. 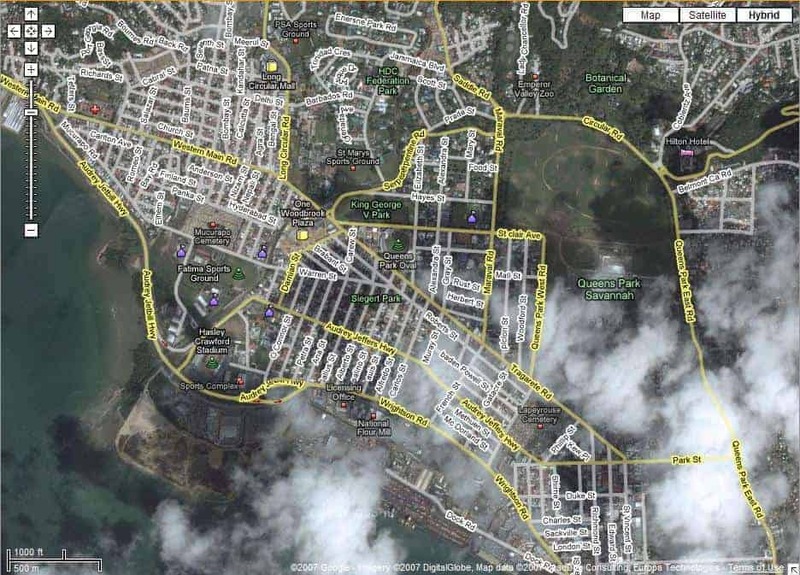 The street maps are more detailed in certain areas of Trinidad (sorry Tobago, no updated satellite imagery or street maps so far) and some of the streets are labelled along with several landmarks such as schools, shopping centers and police and fire stations. Neat stuff! Port of Spain. Hybrid version of Port of Spain showing satellite imagery with street names. Diego Martin. Hybrid version of Diego Martin showing satellite imagery with street names. San Fernando. Hybrid version of San Fernando showing satellite imagery with street names. Satellite imagery and all Privacy gone! I’m finding POS maps online that exclude several streets between French and Murray Streets and wonder why. And unlike another writer who is concerned about privacy…I would say the images are extremely dated so unless you have to hide …don’t stress.